Do you fancy a kick-about? A bunch of people will be playing football on the main Abbotts Barton green, and they would love for anyone to come along and join in! Starting this Monday 20 April, meet at the goalposts from 8pm. This will happen every week - all abilities welcome! Would you like to warm up and stretch your body a bit now that the weather is getting warmer again? Sunday 26 April we are starting with free exercise sessions, Fitness With Friends, in the park. Please see our separate blog post about this. Sunday 3 May we will have our first Picnic in the Park for the year! 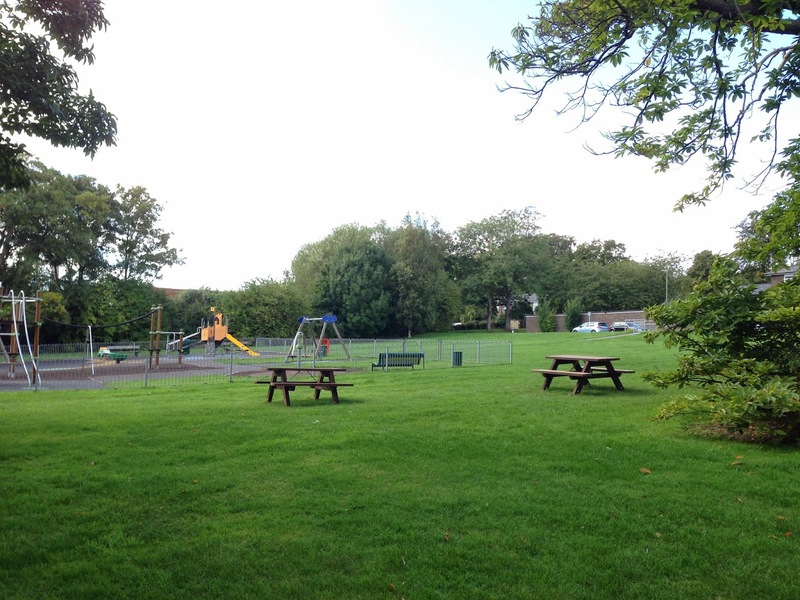 Meet from 12 noon to 3pm around the picnic benches near the playground, come along any time. Bringing food or children is not a requirement, these meet-ups are open to anybody of any age who would like to have a friendly chat with neighbours in our beautiful park! 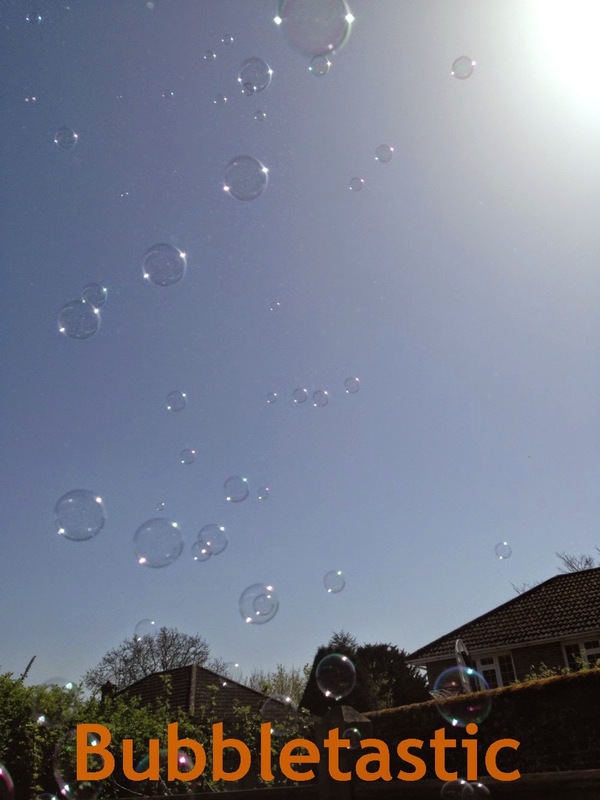 For this particular picnic Lynne will be bringing along bubbletastic entertainment for the little ones! One of our neighbours, Elaine Barrett, has this message for you (as posted on our Facebook forum): "I am trying to set up an initial Neighbourhood Watch Group to cover the Southern End of Abbotts Barton: Oglander Road, Knight Close and the part of Coney Green south of Russell Road. In addition to improving the security of the area by deterring crime, having a Neighbourhood Watch Group would enable Abbotts Barton to make use of Winchester Speedwatch. A few households have offered to help and we will be holding a short meeting soon to decide the best way to set up the Group. If anyone would like to join us, please get in touch with me." If you would like to get a message through to Elaine, you can contact her either by email (ebarrett6767@btinternet.com) or phone (01962 843356). Please remember, elections are coming up on 7 May and the deadline to register to vote is Monday 20 April! It should take about five minutes of your time, and you will need your National Insurance number (if you have one). If you are not around on 7 May, read about the deadlines and requirements for making applications for postal and proxy votes in time. The next Councillor's Surgery will be on the second Thursday of the month, on 14 May, due to the elections in the week earlier. Several people have mentioned to us that they are unhappy with the litter left around the picnic bench near the football area - so are we. Jane is going to contact a council officer to request for one being installed there, and also for some of the low branches on the chestnut trees to be trimmed to allow for better view lines for parents.